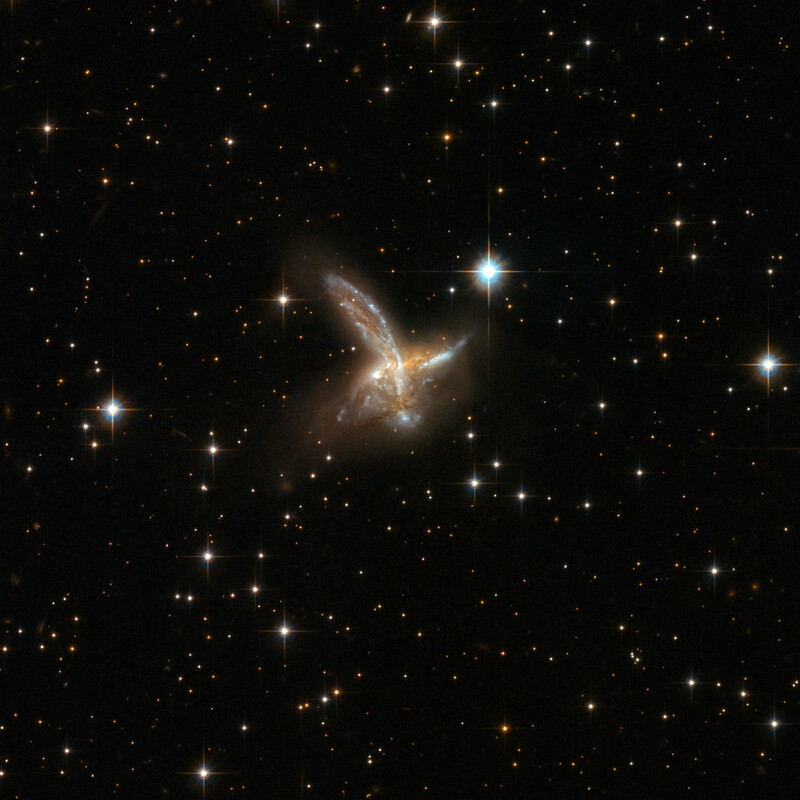 ESO 593-8 is an impressive pair of interacting galaxies with a feather-like galaxy crossing a companion galaxy. The two components will probably merge to form a single galaxy in the future. The pair is adorned with a number of bright blue star clusters. ESO 593-8 is located in the constellation of Sagittarius, the Archer, some 650 million light-years away from Earth. Position (Dec): -21° 19' 7.42"